1. Get the WSDL. Save it in your local disk. 2. Go to Setup --> App Setup --> Develop --> Apex Classes. 3. Click 'Generate from WSDL'. 4. Browse and select the WSDL file saved in your local disk. 5. Parse the WSDL file. 6. 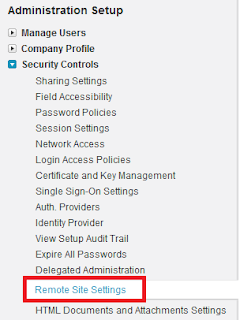 Use the Apex class generated in your Salesforce application. 7. Set the End Point URL without fail. Always maintain simplicity in every aspect of your product – from the design, to implementation, even the software process. Stay organized in every part of the project. Naming the class, variables, etc with proper naming conventions. Proper comments inside the code. Salesforce.com is Sales(CRM) and Service applications which were developed and running on the Force.com Platform. The developed applications will run on the force.com always as a multitenent architecture method. Simply you can identify Force.com is where you can access and customize your datamodel, bussiness logic and UserInterface. But in case of salesforce.com you can access the sales(CRM) Application with all the developed data model, Business logic and UserInterface. Since it is running on the force.com platform, you can customize your application funtionality. Force.com is based on the concept of Platform as a Service or commonly known as PAAS where as Salesforce.com is based on the concept of Application as a Service. So, we can say Salesforce.com is an application built by Salesforce on force.com platform and has been made available to people for use at per month per license pricing. In Salesforce component is a reusable piece of code developed using Visual force and Apex controller. Triggers are used to perform immediate actions based on the previous action. If declarative workflows or Process Builders don’t meet your specific needs, then it’s time to turn to a programmatic approach using Apex, Force.com’s procedural language. Apex, very similar to Java, is akin to the procedural languages most database systems have to build stored procedures, database triggers, and unit tests that implement reliable, database-centralized, complex business logic. Here’s a quick look at some examples of how you can use Apex with Force.com. A trigger is Apex code that executes before or after specific Data Manipulation Language (DML) events occur, such as before object records are inserted into the database, or after records have been deleted. Step 1: Enter data in sheet1. Step 4: Just drag it to other rows. URL No Longer Exists. You have attempted to reach a URL that no longer exists on salesforce.com error. In order to overcome 'URL No Longer Exists. 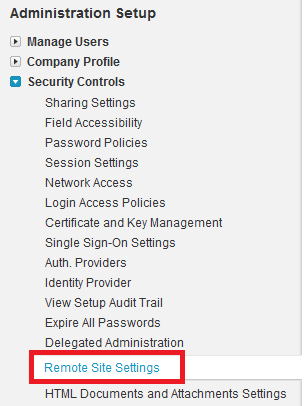 You have attempted to reach a URL that no longer exists on salesforce.com' error, avoid using '/' at the end of the URL. '/' should not come at the end. The main use of System.debug() is to track the flow of program and find errors. Assign the user and execute the Apex code. Then refresh the debug log page and click view button. The import wizard imports Accounts, Contacts, Leads, Solutions and Custom Object data. You can access the inbuilt import wizard through Setup --> Administration Setup --> Data Management. This wizard only supports a maximum of 50,000 records per import. Instead of false or true value for checkbox, you should use 0 or 1. Date/Time format will follow your personal locale setting. In most situations, the format should be MM/DD/YYYY. If the field length is exceeded, the import wizard will truncate the data. How to get list of objects used in an organization using apex in Salesforce?